Football fans all over the world are eagerly awaiting news about the football winter transfers. The winter transfer window is open from 1 to 31 January. The Premier League is one of the most followed football competitions in the world and diehard fans eagerly await news of the transfers of their football heroes. In fact, the winter transfer list while not being as major as the summer transfer helps in deciding whether a team will be at the top of the list or trailing behind the others, at the bottom. This time last year, we saw two big transfers in the Premier League that were the talk of the League. These transfers were that of Juan Mata and Nemanja Matic. These transferred were followed by a very risky mid-season transfer of Kostas Mitroglu. Let’s take a look at some of the biggest names being thrown around in discussions about the 2015 January transfer window. 1) Frank Lampard - Manchester City are beyond desperate to ensure that New York City FC’s English central midfielder continues to stay on loan to them and may keep him on even after the winter transfer. 2) Steven Gerrard - Rumours are flying about that this English central midfielder had been asked by Liverpool to extend his contract for the following season. 3) Arturo Vidal - Vidal says that he is perfectly happy right where he is and even though there are rumours about him being transferred. Juventus’ Chilean central midfielder continues to deny that there is any truth behind the rumours which suggest a departure from Serie A. 4) Sami Khedira - He has suffered excessive injury during the past season and his future is uncertain to say the least. Real Madrid’s German central midfielder continues to state that there haven’t been any discussions about joining another club. 5) Juan Mata - There have been rumours about this Spanish central attacking midfielder, who currently belongs to Manchester United, being stolen by Sevilla this winter. However football experts state that if this move really happens, it would indeed be a surprise. 6) Diego Godin - This Uruguayan centre-back belonging to Atletico Madrid was a vital reason for last season’s La Liga win and the club has no plans to let go of this star player. 7) Mario Balotelli - Liverpool’s Italian centre-forward is very much a part of the club and the manager Brendan Rogers says that the club has no plans to transfer him this season. 8) Glen Johnson - Another rumour circulating about Liverpool is the fact that Johnson, it’s English right/left-back might be transferred to Roma. 9) Tim Cahill - Cahill, centre-forward, has enjoyed his two and a half years with the New York Red Bulls and is now looking to move on to greener pastures. 10) Fred - The Brazilian centre-forward for Fluminense is rumoured to be moving to Guangzhou Evergrande and the Chinese Super League this season. 11) Giampaolo Pazzini - The Italian centre-forward currently belonging to AC Milan is a definite candidate for a January transfer to another football club. 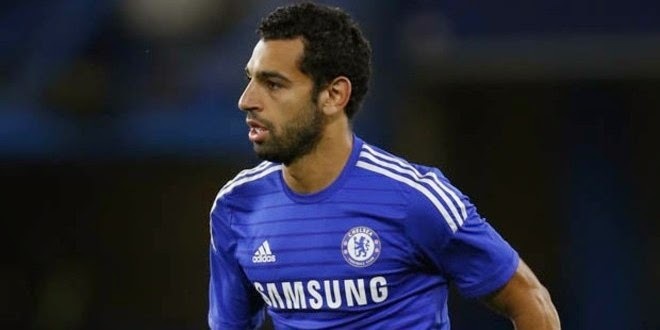 12) Mohamed Salah - This Egyptian right attacking midfielder belonging to Chelsea is also going to be a sure contender for the January transfer window. Every single season, the list of transfers gets hotter and more exciting than the previous and this one promises to be no different. One can definitely say the build up to January’s transfer window has all the thrills and spills that footy fans yearn for!